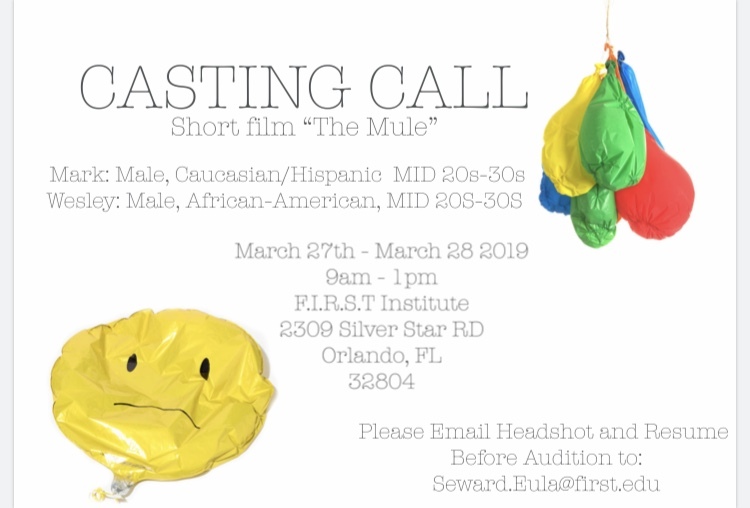 Casting call for a student short film. Casting call will be March 27-28th from 9am-1pm. Shooting days is April 2nd-3rd. Casting call Will take place at F.I.R.S.T Institute (2309 Silver Star Road, Orlando Fl). 2 males in their 20s-30s.